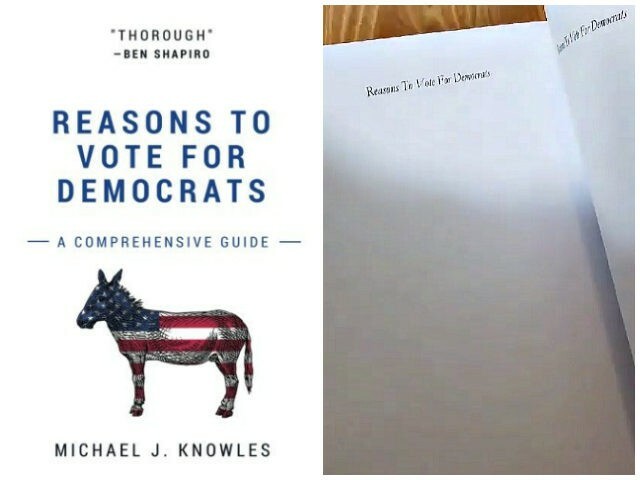 One of the top selling new books on Amazon.com is entitled, Reasons to Vote for Democrats: A Comprehensive Guide. It purports to list all the many reasons why Americans should vote for Democrats. The book is a fast read, though, as buyers will quickly discover that after its table of contents, the book is filled with blank pages. At the time this story was published on March 9, the book ranked as the top selling book at Amazon.com. It was also featured as the number one best-selling political humor book.